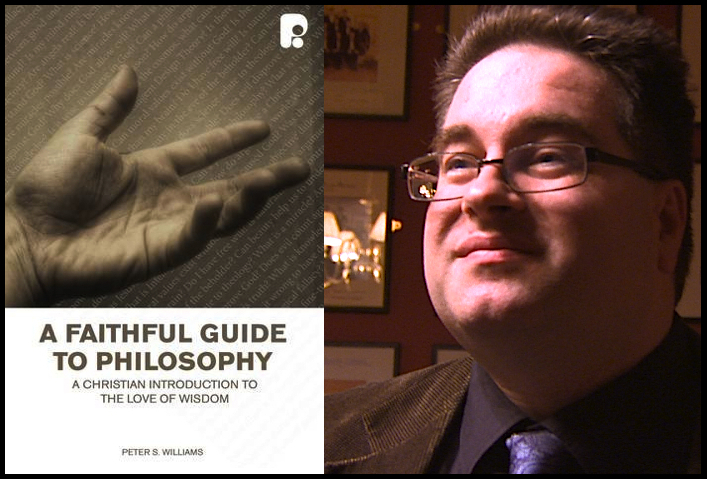 This follows on from ‘A Manual for Creating Atheists’ Part 3.1 where I criticized Boghossian’s definitions of the word faith as being both lacking in evidence and contrary to some substantial evidence (both of which, if true, make following Boghossian’s definition of faith an act of faith in itself). In this post I will respond to footnote 3 in chapter 2 of Boghossian’s book (in my kindle it’s found at Loc.545). I would begin with a plea. If you are an atheist and/or you consider yourself a ‘Street Epistemologist’ ask yourself this question: What evidence did Peter Boghossian give me to suggest elencho changed in its meaning substantially in the New Testament compared to earlier Greek usage? This blog post will explain why you won’t find any evidence for his assertion on this matter. Whether you take the blue or red pill on this is up to you ultimately but I strongly suggest doing some research before hitting the ‘streets’ with this. Atheists often claim to be people who are interested in evidence. If that is the case then why is it so many people have believed Boghossian on this matter? If you took Boghossian at his word in this footnote I will explain how you believed both without evidence and in the face of contrary evidence. In other words… you did the very thing you accuse religious people of. 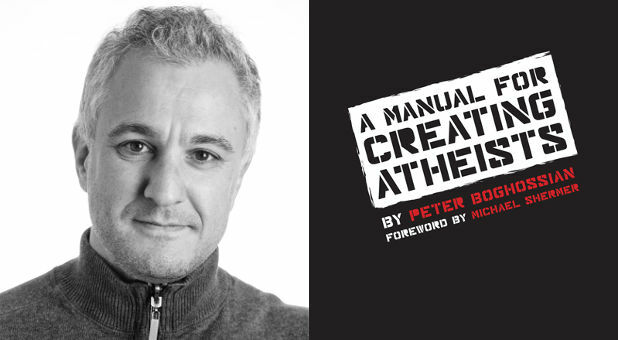 What Boghossian is asserting is that the way the Greeks had used the word, prior to the New Testament coming along, was such that it implied testing and the use of reason but that the word came to mean something completely different in the New Testament. Now, if you prefer evidence rather than assertions you will be the type of person who will want evidence and Boghossian offers some. 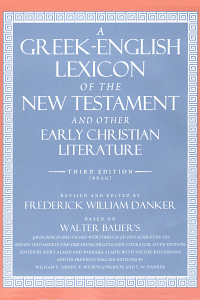 He quotes from Souter’s Lexicon of the New Testament (1917). Unfortunately what he quotes from Souter actually undermines his assertion instead of supporting it since he admits it defines the word as “proof, possibly a persuasion”. Notice that this offers no support whatsoever to Boghossian’s assertion that the meaning of the word changed drastically in the New Testament. In fact, it rather suggests the opposite. I could not get my hands on Souter’s lexicon but it is more than a little odd that Boghossian would be going to a lexicon which is nearly a hundred years old. Instead, if you go to one of the most modern and most scholarly lexicons of today you find more contrary evidence to Boghossian’s story. Boghossian’s story sounds wonderful to those who have already bought into the idea that faith and reason are, of necessity, opposed to each other. But any critical thinker ought to ask themselves where the evidence was for this notion. Boghossian cannot cite one single Greek scholar or source in support of his proposal. Since there is no evidence for his assertions and there is contrary evidence is it not the case that Boghossian is asking me to take his story on ‘faith’ (and by faith here I will mean it in the sense he does to ‘believe something I know is not true’). So what does Hebrews 11:1 actually say? Ἔστιν δὲ πίστις ἐλπιζομένων ὑπόστασις, πραγμάτων ἔλεγχος οὐ βλεπομένων. “Now faith is assurance of things hoped for, proof [manifestation / reality] of things not seen”. 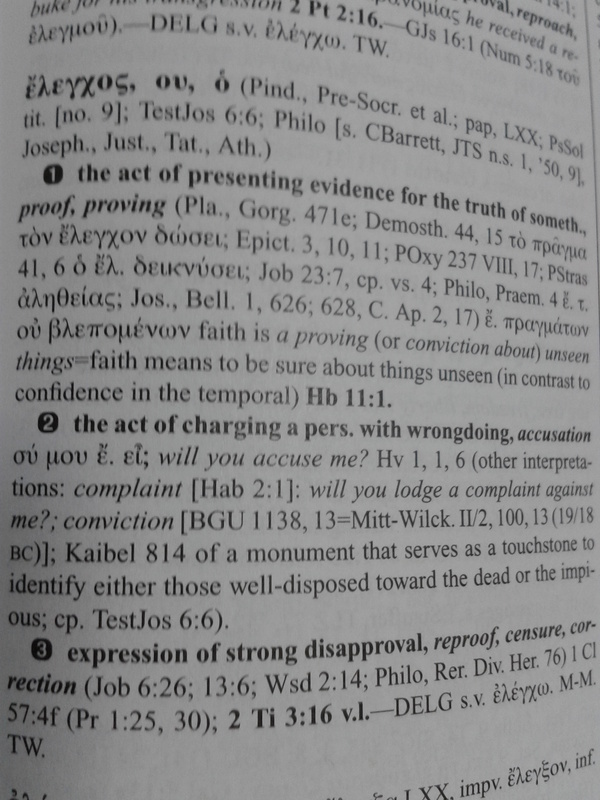 Modern scholars have some minor disagreements over whether the verse is intended as a proper definition of faith (πίστις) or not but no scholar I could find suggested the verse was intended to be an exhaustive definition of the word and several scholars warned against seeing it as exhaustive (which means it would be careless to only look at this usage of the word in the New Testament). There is also some discussion over whether the conviction expressed is a subjective or objective one. What all scholars agree on is this. The verse is not setting up faith as an opposition to reason. The obvious reason for thinking this is that the verse does not say any such thing. What the verse does suggest is that faith is expressed when there is one specific form of evidence missing – sight! This passage is not a praise of irrationality and believing in something for no good reason whatsoever. It is about keeping one’s strong belief in situations where your sight does not help. Notice the people mentioned as great examples of faith in the Old Testament: Abel, Enoch, Noah, Abraham, Isaac, Jacob, Joseph, Moses, Rahab, Gideon, Barak, Samson, Jephthah, David, Samuel, and the prophets. When you look up these people’s stories in the OT you find that they had good reasons to believe God would accomplish his promises because most of them had seen God fulfill his promises in their lives before and most of them are recorded as having heard God call them. In some of these stories they appear to hear God in a very audible way. In other words, most of the people on this list had empirical evidence and experiences of God in the past which inspired their faith (strong conviction / belief). It is in this sense that their faith was being commended. Their faith remained even when they could not yet see evidence of what had been promised. Furthermore, the writer to the Hebrews is showing that their faith was not misplaced because those promises are now, in Christ, fulfilled. So when we come to the witness and message of the gospel in the New Testament the message is proclaimed that Jesus is risen from the dead, not because it is irrational and certainly not because no-one witnessed it but rather because there was evidence that Jesus had risen from the dead because many had seen it and those who did not had the first-hand testimony of those who did. What’s this? The writer is clearly appealing to a belief which was based in empirical evidence. Of course, the modern atheist will claim that such signs and wonders never took place but notice that this is to miss the point. Whether they took place or not is another discussion. What is clear is that the author thought they had and it is an appeal to these things being real and true which is the cause for staying strong during times of trouble. It would appear that if it’s blind, irrational faith you are looking for then one should become a ‘Street Epistemologist’ because the Christian religion is not a place where you will find any such thing. 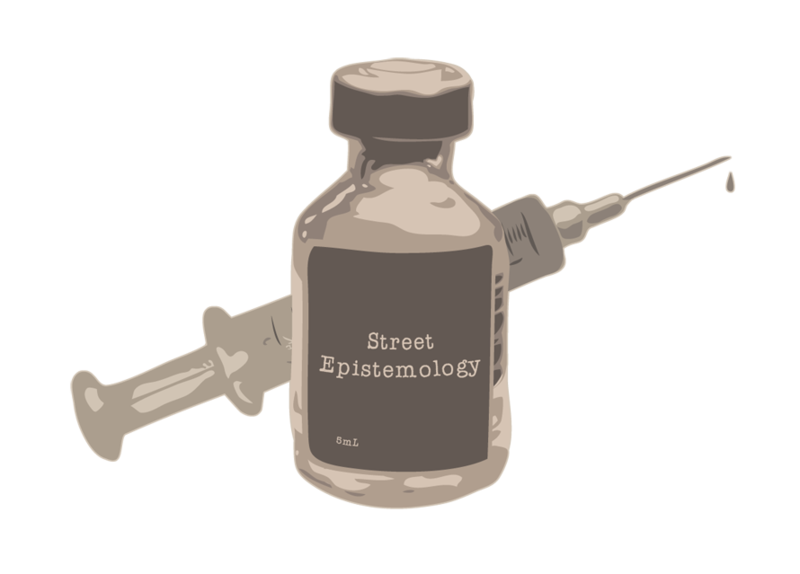 Rather than the ‘Street Epistemologist’ being able to offer me with an inoculation against believing in things without evidence or pretending to believe things which are not true, it would appear the ‘Street Epistemologist’ first needs treating themselves. Maybe that’s as long as this post needed to be? If Street Epistemologists care about evidence will they dare question Boghossian’s treatment of ἔλεγχος? PS. And we didn’t even get to ὑπόστασις! Here is a good place to start. 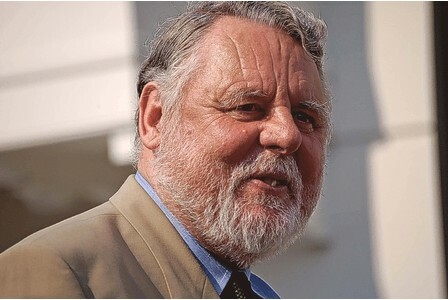 For a brief glimpse at the amazing story of Terry Waite you could begin here. @24:04 following in the above Q&A (from a talk which took place on the 19th January 2014) Boghossian uses his story about the changing of the Greek ἔλεγχος from the time of Socrates to the New Testament. This is a factual error on Boghossian’s part and he should not be using it. This entry was posted in Atheism, Atheist apologists, Faith, Street Epistemology and tagged Keith Ward, New Atheism, Peter Boghossian, Reasonable Faith. Bookmark the permalink. Given that even the source he quotes does not support his interpretation and given that it seems unlikely any reputable authority ever would, I have to seriously wonder what’s going on. Surely when he wrote the footnote he cannot failed to have known that he had no evidence for his assertion,and yet he asserted it with confidence all the same. Hmmm….. Anyway just want to say Hi. I discovered your blog a few weeks ago and have found your articles concise, tightly argued, thoroughly interesting and also charitable/non-aggressive in their tone (which I appreciate). Most of all I appreciate the way you provide specific references to your sources and evidence. So yeah I guess you could say I’m now one of your regular readers. So keep up the good work! Hi Ross. It’s good to hear from you. So you’re one of my readers from France! It’s nice to put a name to a statistic. As you can see in my piece I’m as puzzled as you are. If I were going to make a contention about something in field of study which is not my own I would like to think I had at least found someone in the field who agreed with me to some degree. But to use a quote which undermines the very point your making from an obscure lexicon written a hundred years ago? Weird. All I can think (being as charitable as is possible) is that he scribbled it down into the footnotes without thinking! Well thanks for stopping by and for saying hi! I’m so glad the references are useful. I hope it inspires people to go and read elsewhere too. A load of hair-splitting, semantic nonsense. Wow. That has to rate as pretty much the most superficial response I’ve ever received. As for semantics… of course it’s about that! The piece is about the meaning of words. That’s like going to a game of football and complaining that the ball was getting kicked! Duh!!! Thanks for making me laugh though. Much appreciated! Hair splitting nonsense… I agree. Its just that simple. 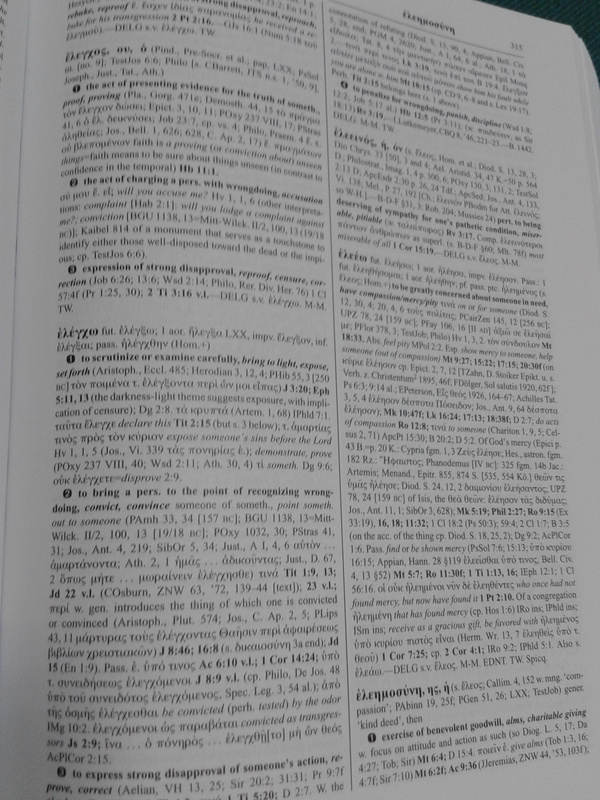 You don’t have to get your hands on a 1907 greek lexicon. A google search is fine and limit the search to books. 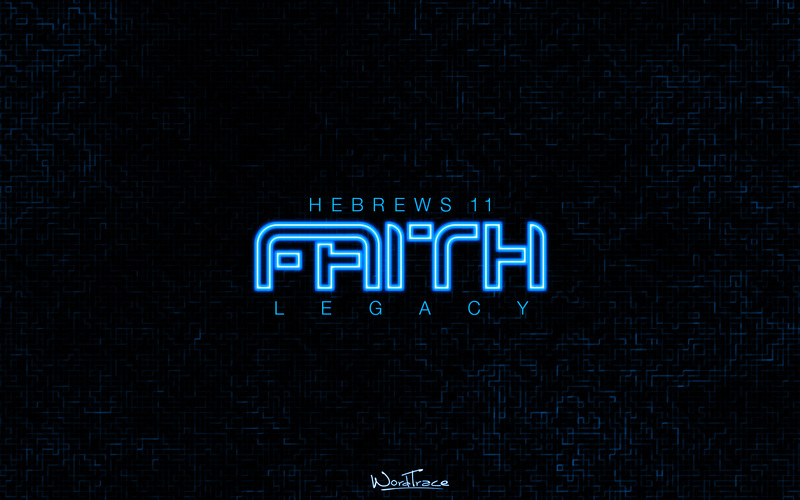 Hebrews 11-1 is included in the Lexicon. The perplexing, pretending professor doesn’t like the definition of the word in Hebrews so he ignores it and uses another. Its not hair splitting; I believe it is called the Definist Fallacy.